Meet my new little friend, baby Nate. I met Nate a few weeks ago when his parents visited the Hope Center for Pregnancy. It was a sweet time talking with his parents about earning Hope Dollars through our Hope for Life program. 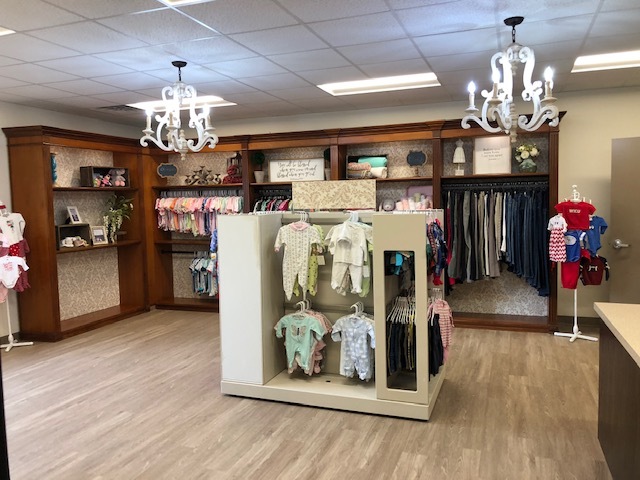 As part of the program, mothers and families can redeem those Hope Dollars in our Boutique for maternity and baby items, including car seats, bedding, clothing, diapers, and more. Before we walked through the Boutique, I took Nate from his carrier and snuggled him in my arms while mom and dad looked and asked questions. The young couple was afraid and unsure of many things in life, but the birth of baby Nate was something they both deeply cherished and loved. Their faces lit up with each coo. They would stare intently at his precious face, smiling at this priceless gift. The following week, Nate and his parents returned to watch Earn While You Learn videos and shop in the Boutique. Once again, I took baby Nate from the carrier, assuring mom and dad he was in good hands. I believe God gives us glimpses into who He is through His creation. Genesis 1:27 tells us, “So God created man in his own image, in the image of God he created him; male and female he created them.” While holding baby Nate that night, I saw the perfection of God’s creation in the face of a sleeping baby. I am thankful for the selfless giving of Living Hope and the community towards the Hope Center for Pregnancy. Your gifts, both financially and materially, provide an opportunity to minister to families like baby Nate’s. They weren’t in a crisis pregnancy, but they needed someone to walk with them during this exciting, yet challenging time. That’s why we’re here. That’s our God-given purpose here in this community. If you would like to give financially to the Hope Center for Pregnancy, you can go online and select Hope Center for Pregnancy in the Giving Fund dropdown menu? If you’d like to donate any items for pregnant mothers and/or babies/toddlers, simply drop them off Monday through Friday from 9a-4p. If you’d like to volunteer in the Hope Center for Pregnancy, fill out this form and we will be in touch. For more information about the ministry, visit hopeforpregnancy.com.